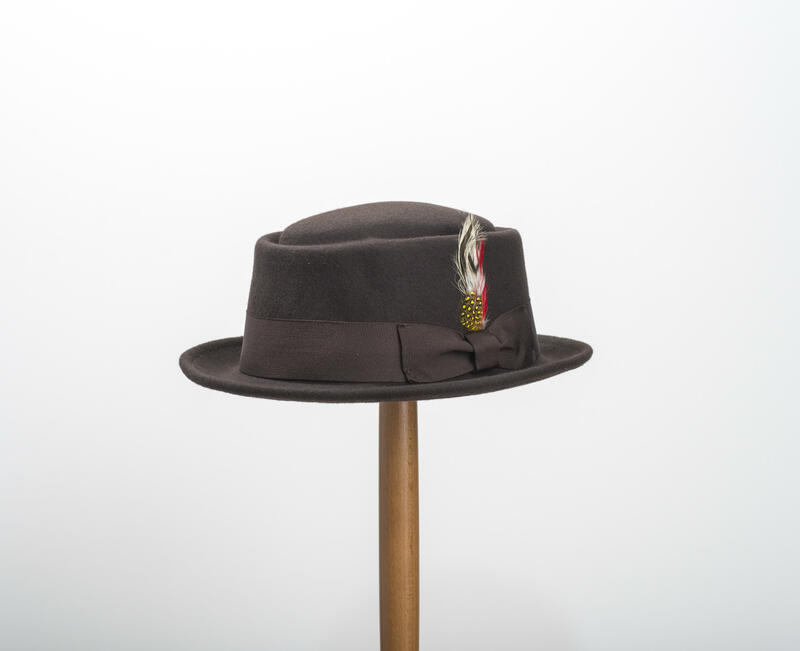 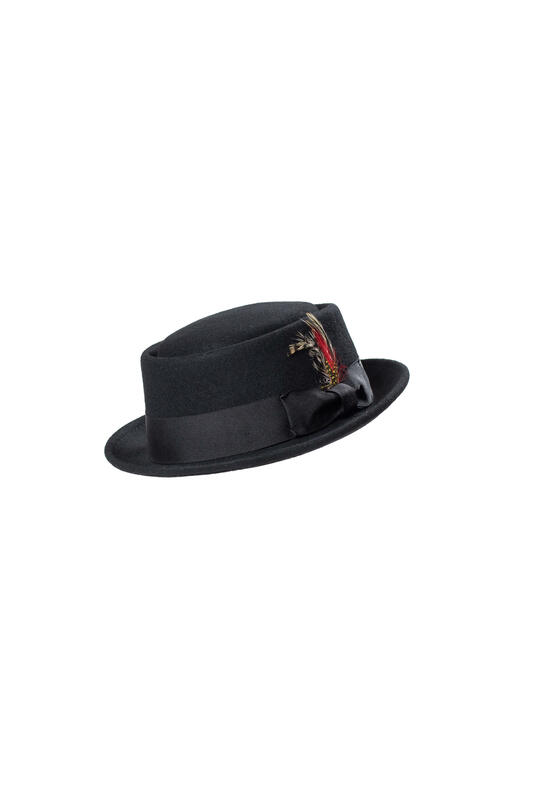 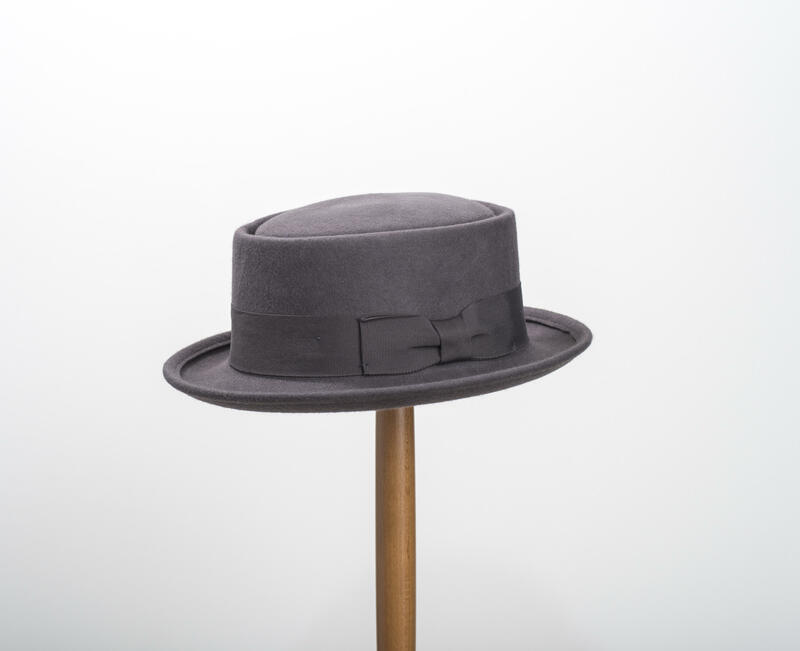 Pork Pie hat made using 100% wool felt. Featuring a petersham ribbon and a removable feather mount. 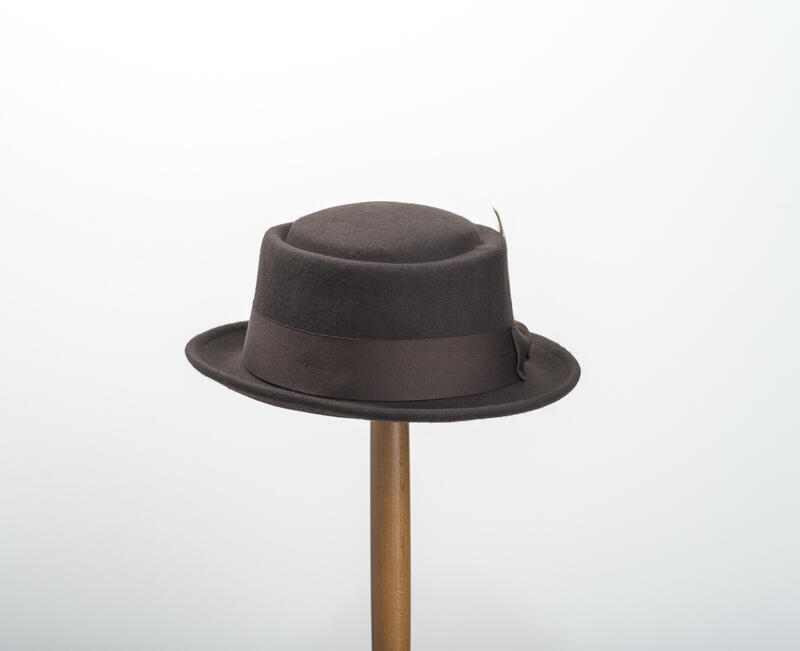 Available in brown, black and navy blue.